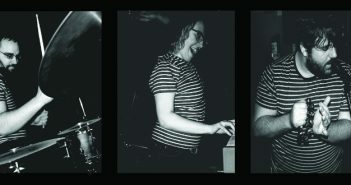 The UK post-rock and post-metal scene has never looked healthier: we are saturated with talented bands that more often break through the prohibitory boundary than not, with a welcoming community of fellow bands, promoters and supporters. 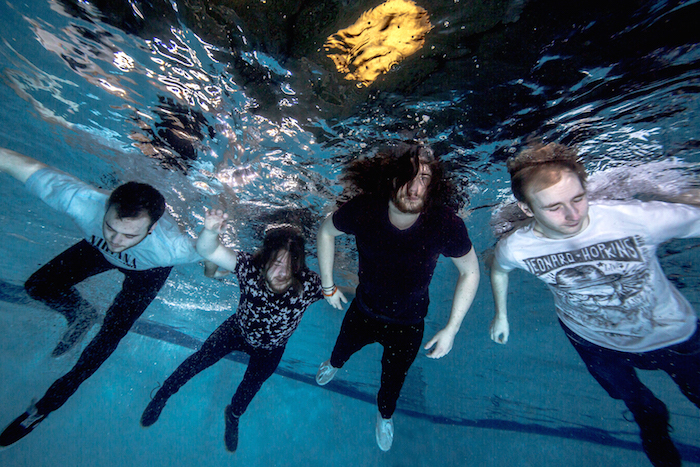 With bigger names like And So I Watch You From Afar and Maybeshewill making serious waves on worldwide tours, the next generation are about to step up to the post-rock plate, one of which being Woking’s Eschar. Far removed from the band’s name, meaning a dark and dry scab, the band’s chemical makeup consists of thundering post-metal riffs as heard in Beacons-era Cloudkicker, combined with the funk-driven tendencies of Long Distance Calling, all channeled into their first full-length Nova. Eschar stated in an interview that “when compared with our first release Elements, we all believe this is a serious step up,” and in some cases this holds true. For instance, the production has definitely tightened up, allowing the technical melodies to flourish around the weighty grooves (cf. ‘Monolith’). The influences have also diversified, with tracks such as ‘Discovery One’ and ‘This Is Not For You’ straying down a more rock-infused path, and the title track smacks a little of Adam Jones’ (Tool) guitar style. There’s also a stunning piece of interplay on finale ‘Contact Light’, seeing Rob O’Murphy and Sam Beattie split off down different pathways, before conjoining and unraveling as the track follows to its mellow conclusion. However, some things never change. A gentle, ambient-imbued intro is one familiarity, albeit more interesting than Elements‘ intro, and it flows into an instantly catchy and technical lead surrounded by big riffs. The technicality is something of note in itself, drawing closer comparisons to Animals As Leaders or Modern Day Babylon than the post-rock scene. It is a bold move to start on the nine-minute ‘Monolith’, but the song summarizes Eschar succinctly, and allows the formula to be explored down different avenues across the remaining tracks. ‘Falling Faintly Through The Universe’, for instance, has a bass hook that sticks on first try, while ‘Nova’ uncovers a psychedelic edge with the guitar effects. Each possesses its own unique traits, and have enough elements throughout that those who usually shy from instrumental music will barely notice any ‘void’ left by a vocalist. In fact, there are very few moments of weakness during Nova. The only tracks that fail to gel are the interludes (‘Echoes and Reflections’ and ‘Turn Skyward’), simple vibrating ambient patterns that serve little purpose except for breaking up the riffs. However, given the tracks possess character enough to stand alone rather than meld together, the inclusion of these interludes is a little baffling. Nova is a well-considered release, marrying tech and post- aspects harmoniously. A few parts stray close to their influences – Cloudkicker in particular – but none of these moments feel stolen or shoehorned in, just nods in reference and reverence. 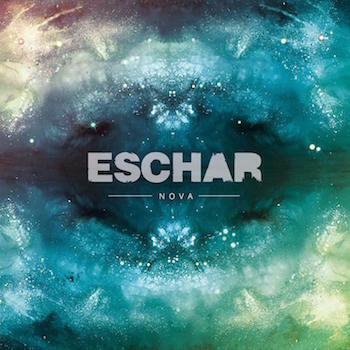 With such a strong opening statement to their discography, if Eschar keep this up they’re going to have a clear path ahead of them, free from scabs. 1. Examples are UK Math & Post-Rock, Chaos Theory and Echoes And Dust. 2. Interview via Hold Tight!